With his definitive statement that we must "LEAVE" show your support for our national treasure. We want our freedom to decide where we go from here. None of this dodgy Brussels bureaucrat stuff. We're OFF-SKY come June as they say. Show your support for the LEAVE or GO CAMPAIGN(S). 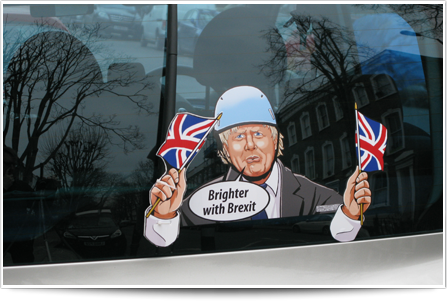 A Special Edition Boris Brexit is just tooooooo much to ask for!!!! Buy now - otherwise Brexit freedom is lost forever.. 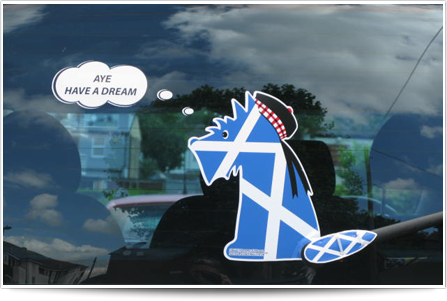 Celebrate your love of the strong independant, self-assured, intelligent Catalan Sheepdog, the same character as the proud people of the glorious Catalonia. 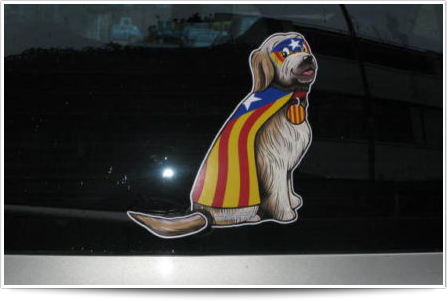 Your Catalan Superhero dog with Wagging Tail™ fitted to your car rear windscreen will proudly tell those around you that you're ready for INDEPENDENCIA. Show your support for suffering British taxpayers and urge the taxman to man up and not be so timid with global companies that hardly pay any corporate tax in the UK. 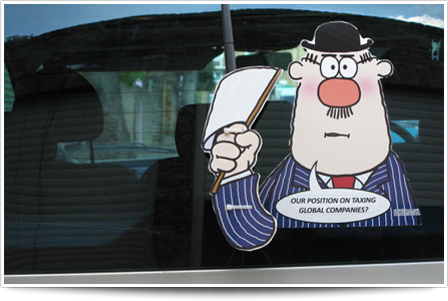 Use your bowler hatted WiperWagger to tell the Timid Taxman what you think. Stop Surrendering. No More Cosy Deals Thanks!